There are a couple of smells that I absolutely love early in the morning: coffee brewing, bacon frying, and cinnamon baking. Any of those is likely to pull me out of my warm, cozy bed, which, on most days (I admit! ), I’m reluctant to do. It’s a shocking confession, but I’m actually not a huge fan of cinnamon buns. I know, I know! How can I not love those deliciously buttery, sugary, cinnamony concoctions?!? But alas, I always found them far too sweet even for my own sweet tooth, and so I often stayed away from them. It doesn’t mean that I don’t love the smell of cinnamon buns though. Who can resist the delicious smell of warm, spicy cinnamon? Plus cinnamon is definitely in my list of top ten favourite spices. Thus, with a recent craving to make cinnamon buns, I finally got down to business. Since Cinnabon Cinnamon Buns seem to be the queen of all cinnamon buns in the epicurean world, I was able to track down a recipe that claimed to be “just like the real thing.” The recipe intrigued me and I knew I had to give it a try. 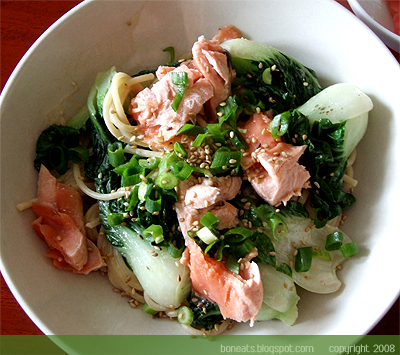 Like most recipes I try out, I also made changes to this one. I think the amount of butter used in the original recipe gave me such an initial shock that I could not resist decreasing the amount. Looking at the nutritional value also made me think that I had to justify making these, and so I replaced half of the all-purpose flour with soft whole wheat flour to made these babies slightly “healthier.” I made the buns the night before, placed them into the pans, covered them with plastic wrap and stuck them in the fridge overnight. All I had to do was wake up an hour earlier than usual on a Wednesday morning, pull the pans out of the fridge to bring them back down to room temperature and allow them to double in size, and then popped them in the oven and let them do their magic. 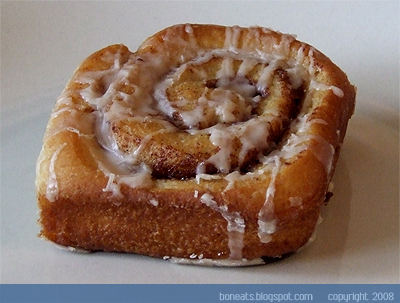 I glazed these buns with a cinnamon-spiked glaze. These would be just as delicious with a cream cheese frosting if you want to go that route, and I’m dying to try these with a maple-laced cream cheese icing the next time around. The buns turned out super soft and sugary. I’m glad they were still warm by the time I got to school (unlike the time I had to fight against -20°C when I made a Caramelized Pear Upside-Down Gingerbread Cake for my Italian lit class), because cinnamon buns are only really delicious when they’re still warm, gooey and sticky. 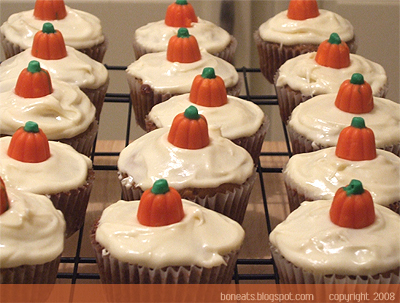 Be sure to serve these with a lot of napkins! So, are they like the Cinnabon buns that they claim to be? I can’t tell, because I haven’t had a Cinnabon bun in ages. More importantly though, have I been converted to a cinnamon bun-lover? Not quite. I don’t think I could ever truly love cinnamon buns, since I’m a pancake kind-of-girl, as I’ve confessed many times before. But I’ll definitely be making these again, if not because they make such a wonderful aroma in my apartment that can’t be any air freshener or candle out there. Prepare the dough: In a nonreactive bowl, combine the 1 tsp of sugar with the warm water and stir to dissolve. Sprinkle in the yeast and set aside until foamy, about 10 minutes. In a separate bowl, sift together the whole wheat flour and the all-purpose flour. In a bowl of a standing mixer, combine the warm milk, remaining 2/3 cup of sugar, melted butter, salt and eggs. Using the paddle attachment, mix on medium-slow until combined. Add the yeast mixture and ½ cup of the flour mixture and mix until smooth. Continue to add flour to the dough mixture, ½ cup at a time, until the dough begins to slightly stiffen; it will still be sticky. Switch the hook attachment and knead on medium speed for about 10 minutes, adding a bit of flour occasionally if the dough sticks too much to the bowl. The dough will still be a little tacky after it’s done kneading, but it should still be easy to handle if you flour your work surface well. Place the dough in a well-greased glass or plastic bowl, cover and let rise in a warm, draft-free place until doubled in size, about 1 to 1½ hours. While the dough is rising, make the filling. Combine the granulated sugar, brown sugar and cinnamon in a bowl and mix well. When dough is doubled, punch down dough and let rest for 5 minutes. Divide the dough in half; cover one half of the dough with a clean teatowel, and roll the other half on a floured surfaced into a rectangle that is roughly about 10 x 12 inches. The dough should still be thickish, about ¾ to 1 inch, which will ensure that your cinnamon buns will turn out soft and fluffy. Let the cinnamon buns rise in a warm place until doubled in size, about 45 minutes. Preheat the oven to 350°F. Bake for 25 to 30 minutes, or until the rolls are nicely browned. Cool rolls in the pan for about 10 minutes before drizzling the glaze over top. Serve warm. To prepare the glaze: In a medium bowl, mix the confectioners’ sugar and cinnamon together. Drizzle in the warm milk and whisk together until a thick, but drizzable, paste is formed. 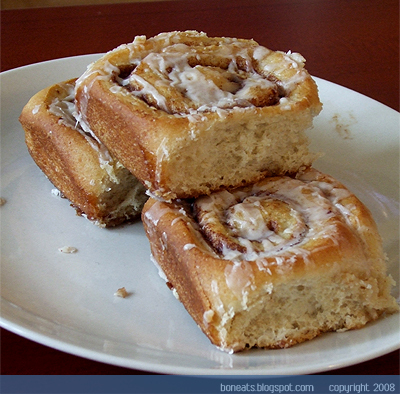 Drizzle with a spoon or the whisk over the warm cinnamon buns. 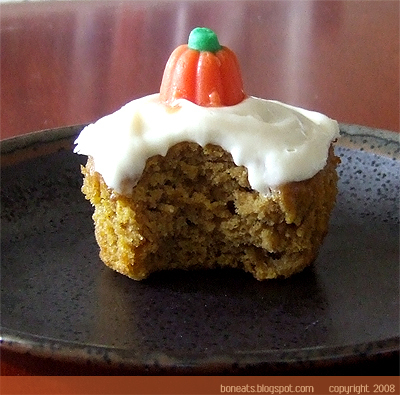 * I used a combination of soft whole wheat (which is cut specifically for cakes. You could use regular whole wheat, but you’ll get a much rougher texture in your cinnamon buns because of the larger grains of wheat) and all-purpose flour to make these buns slightly healthier, but feel to just use all-purpose flour if you want. 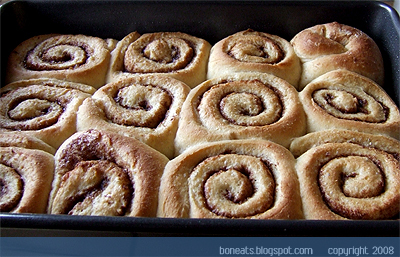 ** At this point, you can stick the rolls in the fridge if you don’t want to bake them off immediately. This is great when you don’t have a lot of time in the morning. You can make the buns the night before, and stick them in the fridge. In the morning, just pull them out of the fridge an hour before you plan to bake them, placing them in a warm place to let rise until doubled, and then continue the baking process from there. Most people, when they hear the word “muffin,” think of those lovely cup-like, part-bread, part-cake, sweet concoctions that go down well with a morning cup of coffee, or a lovely afternoon tea. 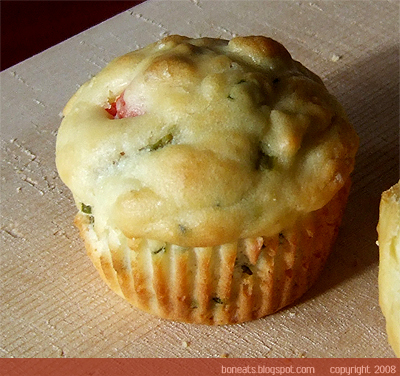 How many—and be honest—of you would actually think “Oooh, savoury!” Most likely very few, and it is such a shame that savoury muffins are overshadowed by their more popular and sweet counterparts. 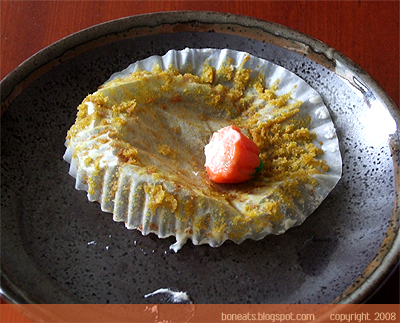 Why should we discriminate against the savoury muffin then, and think that muffins are only sweet? Savoury muffins want to show the world that they are just as delicious too, and want to feel equal love that the sweet versions get splashed with. Case in point, I made a batch of Tomato and Goat Cheese Muffins (courtesy of my Williams-Sonoma Muffin book) for a friend’s housewarming party, and she was absolutely boggled and excited over the fact that I brought over savoury muffins. 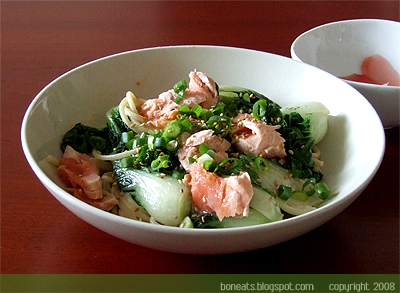 Yes…savoury…like it was some alien, but delicious concept. Much of this has to do with the way muffins have been promoted in our society. When have you ever seen Have you seen a savoury muffin at your Tim Hortons, your Starbucks or your local grocers (and I’m not talking about the English muffin here)? I think not… The fact that commercialism has practically forced us to accept that muffins are, and should only be sweet is unfair and unjust the equality savoury muffins. 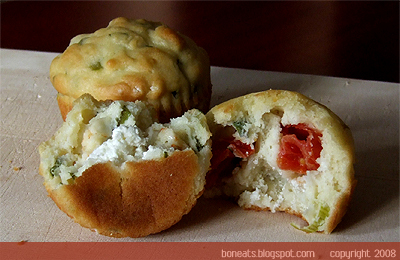 I made these Tomato and Goat Cheese Muffins then, not only as a way to offer up something different to my friends, but to prove that the world of muffins is more than just chocolate chip, banana, carrot, or bran. 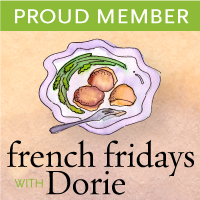 They are incredibly easy to put together, just like any other muffins, and the combination of flavours, from the sharp onion flavour, to the sweetness of the tomatoes, and the tanginess of the goat cheese, makes for an incredible snack, or a very special breakfast treat. So go show the savoury muffins some love and make yourself a batch. They are delicious warm or at room temperature, make a great accompaniment to a hot bowl of soup, are easy to pack for lunches and make a great breakfast alternative to the sweet ones (because sometimes, we really can use a little less sugar—as much as I hate to admit that myself). And just like the sweet ones, they are just as easy to play around with: try making them with different cheese, vegetables, herbs, or even add some fried-up bacon or pancetta. The limits are endless, and you’ll soon be salivating over savoury muffins just as much as you used to for the sugary ones.